Whether you’re following a gluten-free lifestyle due to celiac disease or simply a desire to avoid gluten for other health reasons, you don’t have to forgo restaurants. In fact, you can find plenty of ways to enjoy lunches and dinners with loved ones and coworkers. Below are four terrific tips to eating out without introducing gluten into your diet. 1. Stick with the sea. Eateries focused on seafood are a treasure for anyone with a gluten intolerance. Why? Seafood is a naturally gluten-free food. 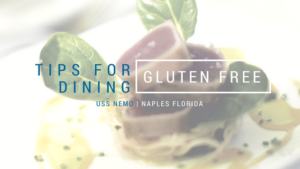 Of course, you must make sure that your seafood is prepared correctly to ensure that it remains gluten-free. When you order your favorite treats such as bass, lobster, shrimp or haddock, request they be broiled, poached or baked without any toppings. Avoid fried options because they are typically covered in batter or crumbs that may contain gluten. If you’re not sure how an item is made, ask your waiter to explain the process. Going green has never been a healthier choice than when you’re opting for a menu item at a restaurant. Salads are often gluten-free fare as long as they don’t contain anything that potentially includes gluten. This means no croutons, friend or battered proteins or toppings that may contain a gluten ingredient. All veggies and fruits are naturally without gluten, so go as raw as you can. Reduce the risk of gluten contamination further by bringing your own salad dressing if you prefer. Some salad dressings do contain gluten, and even trace amounts can cause digestive issues in people sensitive to gluten. 3. Ask for special preparation. 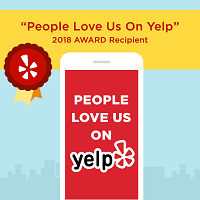 You’re the diner at the restaurant, which means you’re the customer and therefore owed an excellent experience. To help your waitstaff provide you with what you need, speak up from the moment you arrive. Explain that you need gluten-free foods to stay well, and ask to talk with the chef if you have any concerns about the way a food is prepared. Most restaurants are aware that millions of people are striving to eat gluten-free, so you don’t have to feel embarrassed by taking charge of your wellness. Maintaining control of what you put in your body is your number-one priority, and a top-notch eatery will understand that. 4. Bring Gluten-Free information with you. Although it may sound like going overboard, there’s nothing wrong with bringing along a list of gluten-free preparation techniques and foods to a restaurant. That way, you can refer to your information as well as share it with waiters and cooks. Not only will this help you stay ahead of the game, but it may just provide an education to the people serving you. Some gluten-free diners even like to leave behind a copy of the information in case the restaurant wants to use it. You don’t have to be pushy about this, of course. Just offer it in a friendly way and see what the establishment says. Remember that gluten-free living doesn’t require you to eat all your meals in your home. You can have a thriving social life without touching gluten if you take precautionary measures beforehand.